Today I wanted to share 2 techniques I like to use when I put my hair into messy buns. As I'm sure most of you know, the messy bun is a great way to put hair back quickly. I like a more polished style but to each their own. 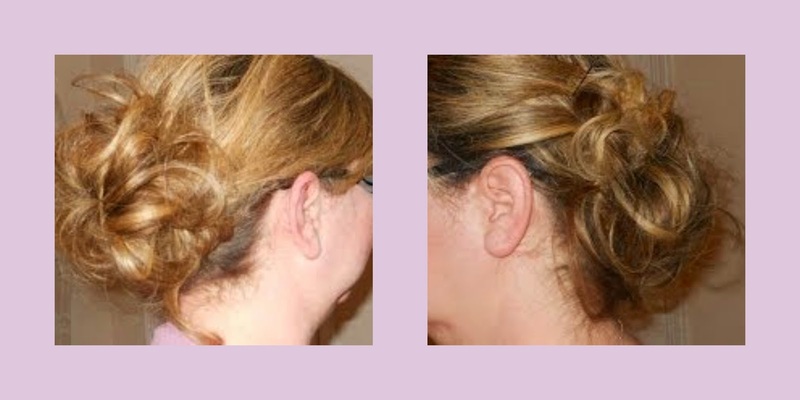 The first messy bun uses two clear elastics and some bobby pins. This technique is really easy to do. The second uses 3 clear elastics and bobby pins. This one takes a little more time but I think it gives a more fuller voluminous look. Both are great everyday styles!